A big part of success when you’re bass fishing is proper bait presentation, and a big part of proper bait presentation is speed. 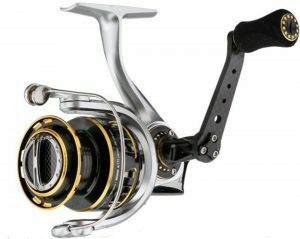 To some extent that’s a function of the gear ratio of your reel. It’s true that you can speed up a low gear ratio reel by cranking fast and you can slow down a high gear ratio reel by cranking slow. I won’t deny that. But it’s a lot of work. It’s much better, and a heck of a lot more efficient, to select reels with the correct gear ratio for what you’re trying to do with a lure. When you do that a steady wind will give you what you need. 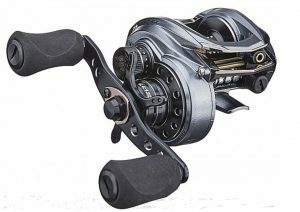 Here’s how I select the gear ratios for my reels. I put any reel with a gear ratio between 5.4:1 and 6.4:1 in this group. They’re at their best when you need to slow roll a spinnerbait, drag a jig or fish a crankbait. They keep your speed down and give you just a little bit of hesitation when you set the hook. That’s critical with this class of lures, especially crankbaits. 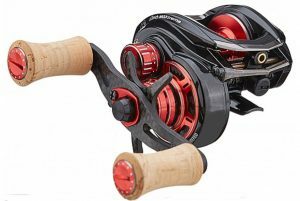 My strong preference is for an Abu Garcia Revo ALX. The ALX can be purchased with a 6.4:1 gear ratio that’s pretty versatile for fishing a wide variety of baits slowly. An even slower model is the Orra Winch. It comes in at 5.4:1 gear ratio, and it’s much less expensive that the ALX. Both of these reels are high quality and will do you a wonderful job for years if you take care of them. Reels in this group will have gear ratios between 7.1:1 and 7.5:1. Medium speed reels are at their bestik with single hook lures. They’ll do a little of everything but really they’re made for things like normal spinnerbait presentations, swim jig applications and speed worming techniques. 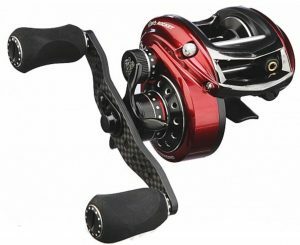 The Abu Garcia Revo Premier Generation 3 reels with the appropriate gear ratio will do you a good job in this class. They’re tough. Take special care of this reel, however. It’s going to be your workhorse for many seasons. These reels will have gear ratios in the 8:1 to 9:1 class. They’re best use is for speed fishing lures or for when you need to pick up slack line in a hurry. I’m thinking lipless crankbaits when I say speed. I’m thinking frogs and flipping and pitching when I say pick up line quickly. 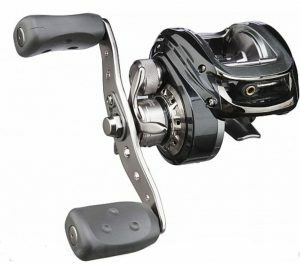 I like the Abu Garcia Revo MGXtreme2 and the Revo Rocket. The MGXtreme2 is a super fine piece of tackle. It’ll last a lifetime. A much less expensive choice in the high speed class is the Rocket. Despite its lower price, it’s still a top shelf option. Think before you buy a reel. What is it you want it to do, and how much do you want to spend? Once you’ve answered those questions you can make an intelligent choice. Keep something else in mind, too. The medium speed reels are the most versatile so they are the ones you should get first or if you only have one or two reels. You can buy whatever brand you want. Most of the major manufacturers have something in every speed range. 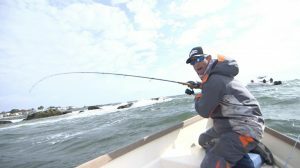 But, do one thing first — look at what Abu Garcia has to offer. I honestly don’t think you can do better regardless of which company makes it or how much it costs.